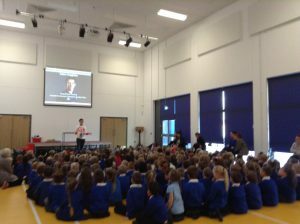 Adam Duggleby is available to talk to schools, businesses and other speaking requests, such as club dinners. 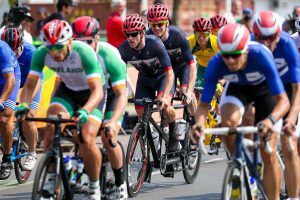 Adam talks about how he got in to cycling, how he finally met Steve Bate and how much work and dedication it took to go to the Rio Paralympics and win two Gold medals. The aim is always to inspire people of all ages and make people believe they can do far more than they ever thought they could. If you would like Adam to speak you can contact him via the website contact page. Adam Duggleby is a qualified Level 3 British Cycling Coaching (including Road and Time Trial) and is available to coach individual riders and groups. He has over 20 years of cycling experience gaining over 30 individual national medals. Whilst piloting Steve Bate has become UCI 2018 World Tandem Paracycling 4km Pursuit Champion and has 3 Paralympic medals on the tandem from Rio 2016. If you would like Adam to come and coach at your cycle circuit for either a public, corporate or a private session, or if you are interested in being coached by Adam one-to-one, including training plans please contact via the website contact page.